Cosmic Roots started with three Mangalitsa pigs ... then bought seven more, then 15 more, and now they are up to 100. The family breeds the pigs themselves, and there are new litters twice a year in April and October. Jesse Olson and Ellen Cole, the duo behind Cosmic Roots Ranch, grew up in western Nevada County, and seek seek to keep the area's farming and ranching heritage alive and well for generations to come. Jesse Olson races the Cosmic Roots Ranch Outlaw Kart, combining his racing past with his ranching present and future. Ellen Cole in a tiny two bedroom, one bath house on a farm in North San Juan across the street from Mother Truckers. They had pigs, chickens, rabbits, goats, and a giant garden. This story is featured in the latest edition of Nevada County Rancher, which will be inserted into Thursday’s edition of The Union. 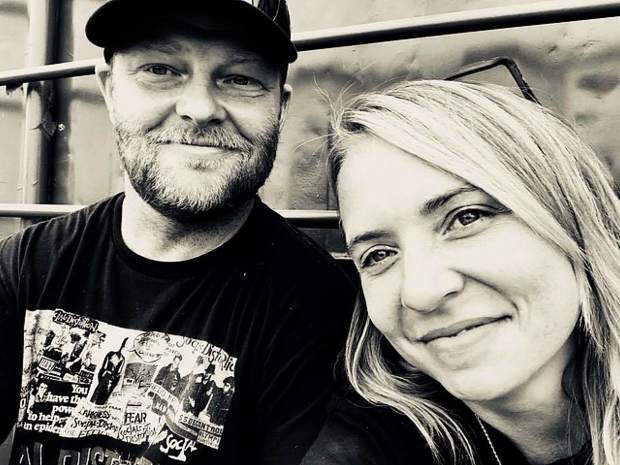 Ellen Cole and Jesse Olson, the duo behind Cosmic Roots Ranch, grew up here in western Nevada County, but their childhoods could not have been more different. The two have taken their passion, life experience, and love of the land to become part of the next generation of ranchers who seek to keep Nevada County’s farming and ranching heritage alive and well for generations to come. Jesse’s family owned Gold-N-Green Rentals, and just sold the business after nearly 50 years in Grass Valley. He was known as the kid who built the motocross track behind the shop, and then left to travel the world on the professional motocross circuit — even building world record jumps for Hot Wheels. But the pull of Nevada County was strong. He wanted to come home to settle down and have a family. And above all, he wanted to farm. Ellen grew up one of six kids with a stay-at-home mom and a dad who did odd jobs to get by. The family lived in a tiny two bedroom, one bath house on a farm in North San Juan across the street from Mother Truckers. They had pigs, chickens, rabbits, goats and a giant garden, which was how they fed themselves. Ellen remembers that when she was three years old, her older sister used to send her to Mother Truckers with Monopoly money to buy candy, and they sold it to her. 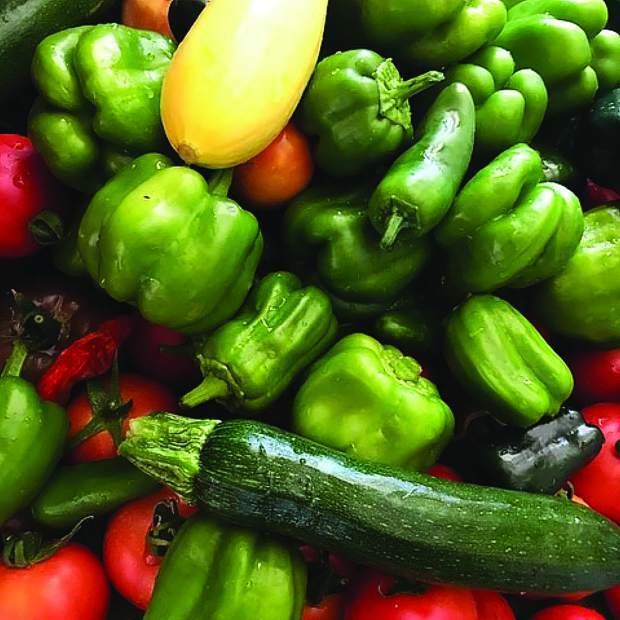 When she was six, Ellen’s family moved to Grass Valley and gave up farming, but always had a garden wherever they lived. Life was financially difficult for the large family, but Ellen remembers her childhood as mostly a happy one. When she graduated from Nevada Union High School in 1996, she wanted to give city life a try and moved to Sacramento to find herself and get out in the world. But the city wasn’t all it was cracked up to be, and she returned to the place that is home. In 2014, Ellen and Jesse were introduced by a mutual friend and the two had an instant connection. They started talking and became friends, and a year later started dating. They both had the dream to start a farm and talked endlessly about what they wanted to raise and grow, as well as the concept of the business. 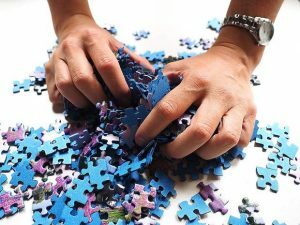 They had the name early, and it stemmed from the cosmic connection that they had from the moment they met and the fact that they wanted to create strong roots for their family. Ellen really wanted to raise pigs, and so Jesse started reading about different pigs and learned that Mangalitsa pigs were the Kobe beef of pork. 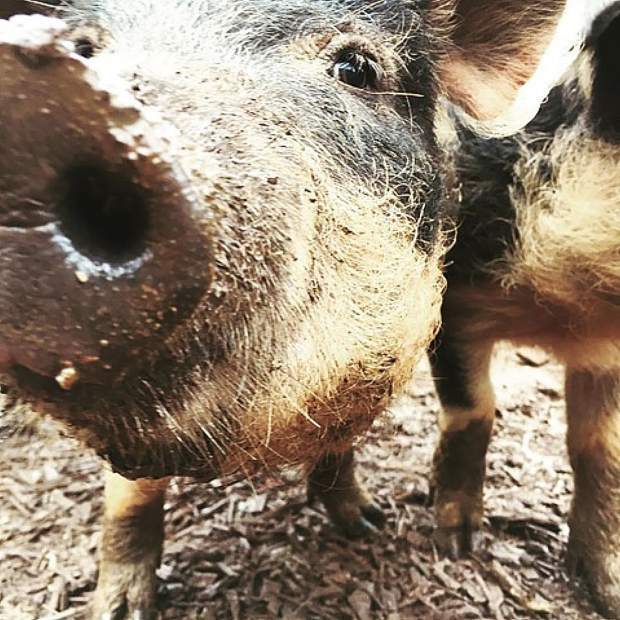 These types of pigs are rare and their fat is rated healthier than olive oil. 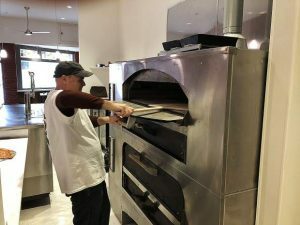 Once they had the plan, Ellen and Jesse set out to find the place to make it happen and found a lot just off McCourtney Road. When they moved onto the property, it just had a house and a dilapidated barn, so they along with their kids and family members rolled up their sleeves and got to work clearing brush and trees, putting in a new well, installing fencing, and all of the other backbreaking tasks necessary to turn wildland into a working farm. The biggest challenge they have had is irrigation; they do have water going to the animals but not enough to irrigate the entire property. 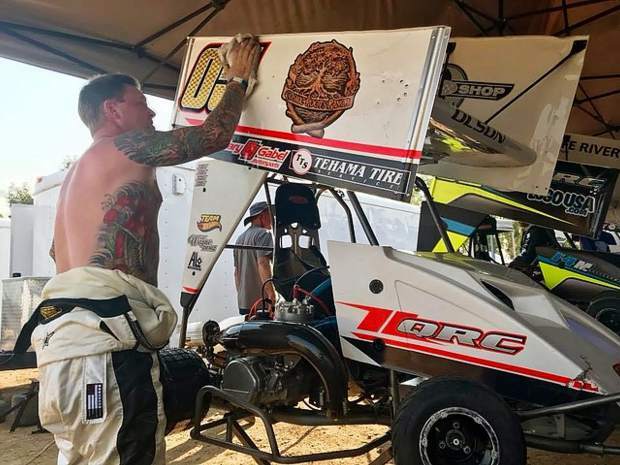 Jesse has found a way to keep racing, as well, and the ranch has its own Outlaw Kart race team with their logo on the car at Cycleland Speedway in Oroville. Jesse races the Cosmic Roots Ranch Outlaw Kart, combining his racing past with his ranching present and future. Ellen and Jesse wasted no time in getting the farm up and running. 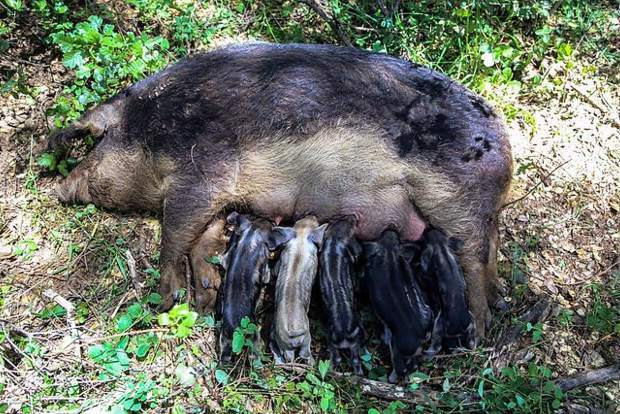 They planted a 5,000-square-foot garden and started with three Mangalitsa pigs … then bought seven more, then 15 more, and now they are up to 100. The family breeds the pigs themselves, and there are new litters twice a year in April and October. 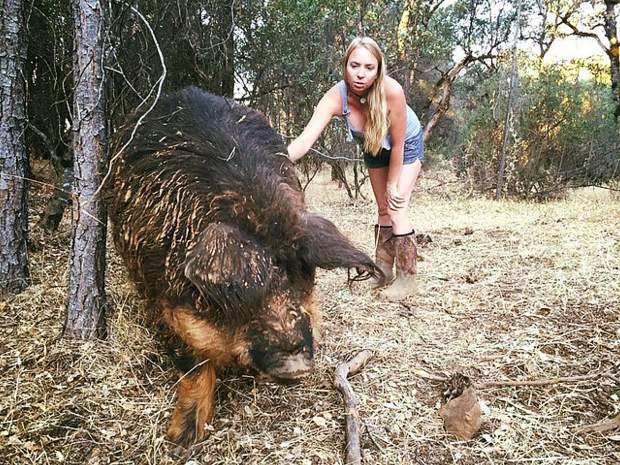 Currently, they harvest eight pigs a month at USDA facilities in northern California. They are then picked up and brought back to the farm for sale in the Cosmic Country Store, the on-site farm stand. Since they get everything back, Ellen makes sure that every part of the pig is used and nothing is wasted. Organ meats and ears are bought for dog food and people use the skin to make their own pork rinds. Customers make soup out of the feet and bones, and can even grind their own bone meal for the garden. Going back to her early childhood roots of making the most of everything, Ellen makes soap and candles from essential oils mixed with the fat that is returned after the harvest. Her soaps have become as popular as the pork for its many properties. 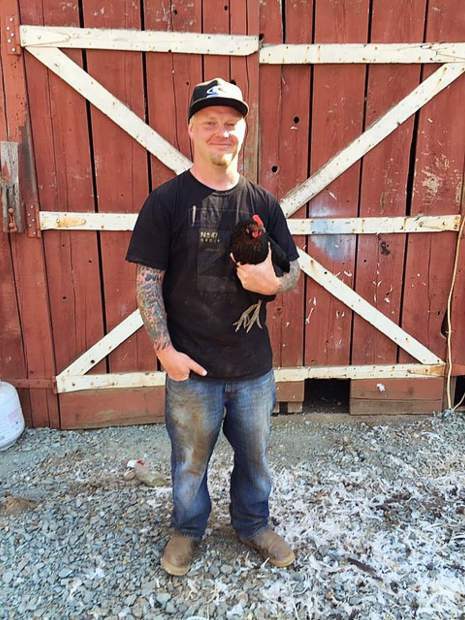 In addition to the pigs, Cosmic Roots Ranch has 150 chickens, and they have just bought broilers to start doing meat chickens, in addition to the eggs they struggle to keep in stock due to their popularity. They also sell the produce that is grown in their garden, which is 100 percent GMO free with organic gardening principles used, although Ellen notes they are not certified organic. 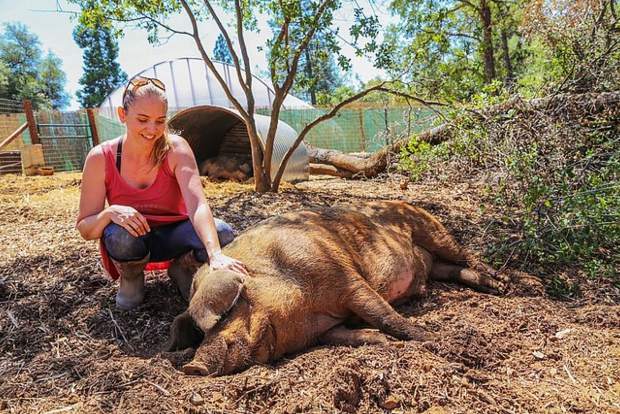 The motto of Cosmic Roots Ranch is “The most loved meat you’ll ever eat.” They say the animals are raised with love, talked to, and the pigs get as many pets as they can stand. They are provided healthy non GMO food, and get all of the garden scraps. Ellen jokes that the pigs eat much better than the people do! 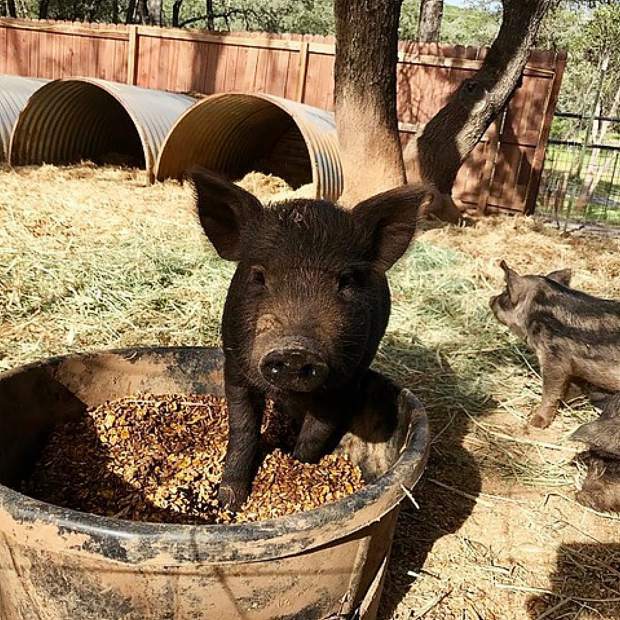 The pigs are raised with a lot of freedom to do whatever they feel like doing within the fence line, and Ellen says that they love to climb hills and root around in the roots from some downed trees that the family provided for them. Cosmic Roots Ranch invites the public to come and enjoy a real farm experience all year long. Ellen gives tours daily (except for Sundays, which is reserved for family time), and no appointment is necessary. Anyone can come pet the animals and see what life on a small family farm is like, but they must be led by Ellen, who stays there to make sure that everyone is safe and treating the animals with respect. Cosmic Roots Ranch is located at 16284 Indian Springs Ranch Rd. 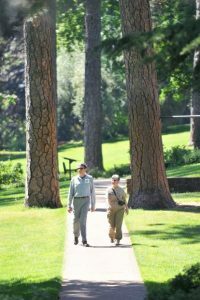 in Grass Valley and is open Monday-Saturday from 9 a.m.-6:30 p.m. For information, visit http://www.cosmicrootsranch.com or call 530-913-5401. Valerie Costa is special sections editor at The Union. Contact her at vcosta@theunion.com or 530-477-4237.